In most design fields, rendering images is a powerful way to communicate a vision without having to actually produce a physical product. When working with clients, especially people who are not comfortable or familiar with visualizing ideas, it can be the most effective path to making sure everyone is on the same page. And it's also one of the best way to get that immediate visual impact. For a quick workflow when I render, I'll usually use a combination of Sketchup (or Revit imported to Sketchup), Kerkythea and Photoshop. This workflow has been very heavily influenced by Alex Hogrefe's tutorials over on his website, which I definitely encourage everyone to check out. Here are some before and after images of renderings, from a screen grab out of sketchup, to kerkythea renderings, to the final photoshop processed image. 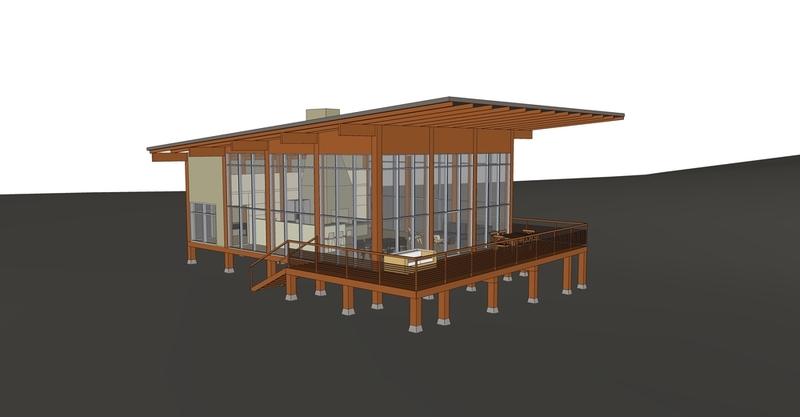 To see the full project with additional renderings and process work, go to the project page.